But there's 3 major benefits to this new method which the old method just can't compete with. First, let me show you the difference between the two and explain the pros and cons of each. 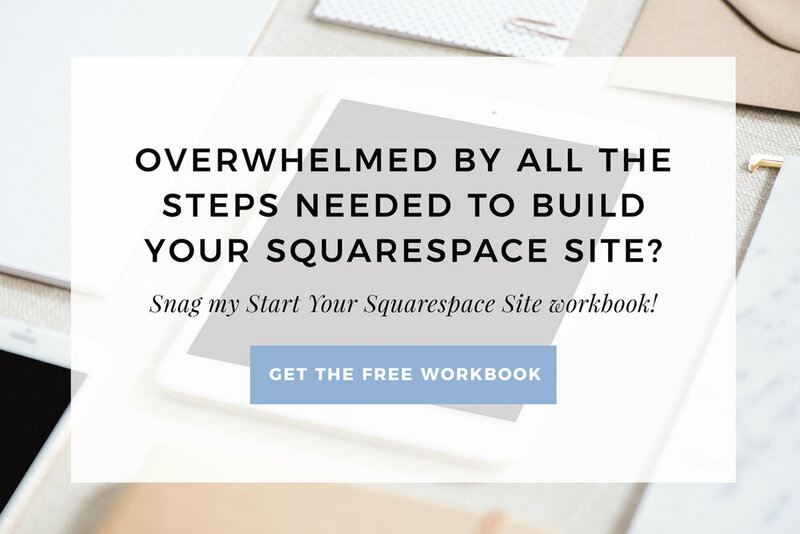 Then, I'll get to showing you exactly how to create this on your own Squarespace site with a tutorial video. 1. The major pro to the new hack with the gallery page I find is that the arrows are positioned to the left and right of the content, not up to the right hand side. I find this just looks a lot nicer TBH. With this method, it's also possible to edit the look of the rotating testimonials arrows in the Style Editor, as opposed to custom coding them as would be necessary with the summary block method. 2. You can make it auto-rotate, again, no custom code necessary, it's simply an option within the Style Editor. 3. It's easier to change the order of the quotes than it is with the summary block method. With the summary block method you'd need to go into the blog editor, and change the date of each post, strategizing the dates in order so the posts appeared in the order you wanted them to. With the new method, it's just a matter of dragging and dropping the quotes into order. Much easier. 1. For this method we use an index page and add a gallery section to it. 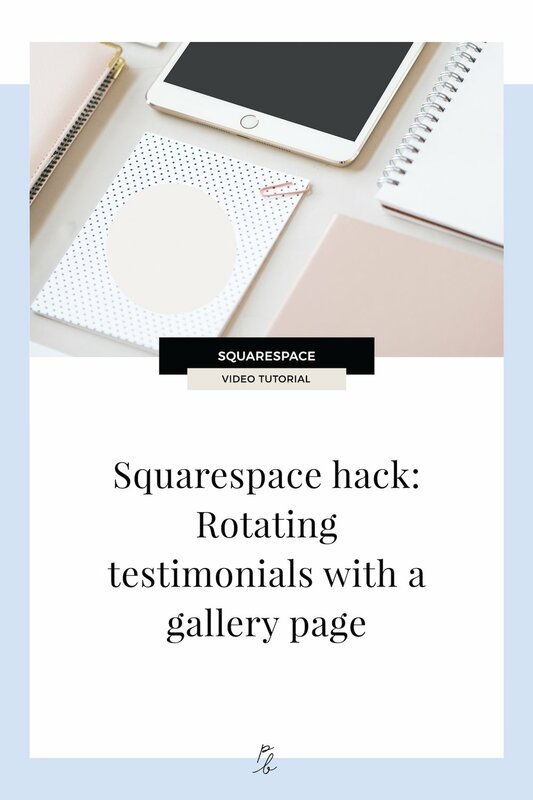 You only get one layout of the gallery pages in your Style Editor, so if you say want to have your index gallery page sections be in a grid for some other area of your site, it wouldn't be possible to do this too.